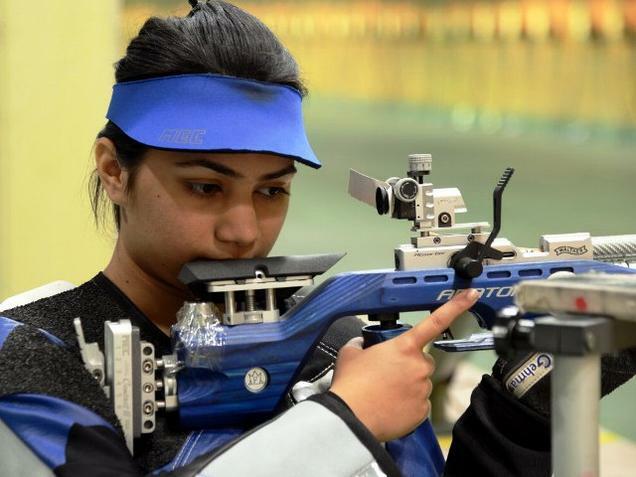 A freak shot robbed Apurvi Chandela of a medal in women’s 10m air rifle at the ISSF World Cup in Munich. The 25-year-old Apurvi was leading by 1.1 point after the 18th shot in the finals, when a 5.9 on the 19th shot pulled her out of the medal contention. Apurvi registered 10.5, 10.9 and 10.8 prior to that unimaginable shot. The Rio Olympian shot a 10.5 on the 20th shot but it was still not good enough to control the damage, and she had to settle for the 4th place with a score of 205.4. Earlier in the qualification, Apurvi, who had won a bronze at the recently held Commonwealth Games in Gold Coast, shot her personal best score of 630.9 to make it for the finals in the fourth place. The two other Indians, Anjum Moudgil (626.4) and Mehuli Ghosh (620.3) finished 25th and 86th respectively in a strong field of 146 shooters. The gold was won by Chinese Taipei’s Lin Ying-Shin with 250.3, while China’s Mingyang Wu secured silver with 249.8, claiming her second world cup medal back to back after the one at Fort Benning, two weeks ago. Rikke Maeng Ibsen of Denmark took the bronze with 229.0. Women’s 10m Air Rifle: 1. Ying-Shin Lin (Chinese Taipei) 250.3 (630.3); 2. Wu Mingyang (China) 249.8 (631.1); 3. Rikke Maeng Ibsen (Denmark) 229.0 (631.3); 4. Apurvi Chandela (India) 205.4 (630.9); 25. Anjum Moudgil (India) 626.4; 86. Mehuli Ghosh (India) 620.3. MQS: Shriyanka Sadangi (India) 622.4; Ayonika Paul (India) 621.8.